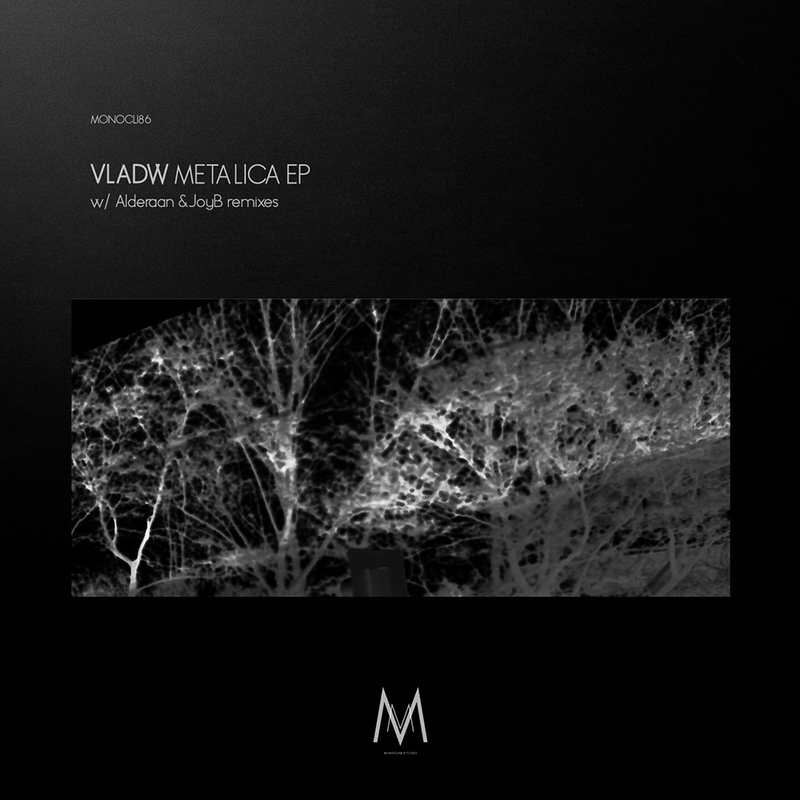 Monocline is an underground techno label from Lisbon, Portugal and just released “Metalica” which is an amazing EP from Argentinian producer Vladw with awesome remixes by Alderaan and JoyB making this release pretty serious stuff. The title track starts up in the sky with a percussive and repetitive synth as the melody. It drags a low tail in the background that plays with the bass perfectly along with a compact kick completes the beat. A hard closed hat takes the top and before long I felt like I was in the middle of an intense party. Open hats and claps full of rhythm, accompany the groove until the breakdown. A pad with an electric feel expands the room just enough to divert my attention from the melody that stands alone in the middle of the mix adding a reverb and increasing pre-delay, welcoming the exploding beat again. Lurking high stabbing notes partner the claps toward the end of this amazing track. Alderaan adds a harder cut in his remix. A faster BPM, with a pounding kick makes this tune one of my favourites. Dirty sounds coming from the growling bass bounces from the bottom end with a muted percussive melody make it hard to stay still. Driving closed hats appear, while a pad works the mids from side to side. Gradually the intense pad injects a mysterious energy that serves as a cushion to the pretty intense ride. Open hats appear cutting the air with surgical precision, while metallic and industrial textures flow through the track making it the darkest and most powerful of the bunch by far. The remix from JoyB takes no prisoners either. A tight kick dancing with sharp bass stabs create the perfect storm that’s complimented by the looping and subdued initial melody. Gradually the lead begins to unfilter which allows stereo trails to develop that serve as a harmonious response to the undertones. Stereo clicks and scratching textures guide me through this crazy trip, whilst grainy hats fade in and out toying with your ears, making the journey more interesting and hypnotic. “Modularia” gives this release a good contrast. A tough, raw beat and laboratory bleeps take charge from the beginning. Reverberant sparks and flanged, high pitched sweeps create a great mood, but the claps that appear later on really push this track forward. An outer space, searing pad fills out the mix before the breakdown where the echoing notes develop freely. Lots of depth hidden away in the layers of this one that make for great exploring. A wonderful collection here, showing an experienced ear of the label boss Re:Axis for bringing these amazing producers together and achieving a set of high class techno. Pieces of audio art, without any doubt. This entry was posted on July 17, 2015 by Death Techno. It was filed under DT:Reviews and was tagged with Alderaan, DTR, JoyB, Monocline, Re:Axis, Vladw.